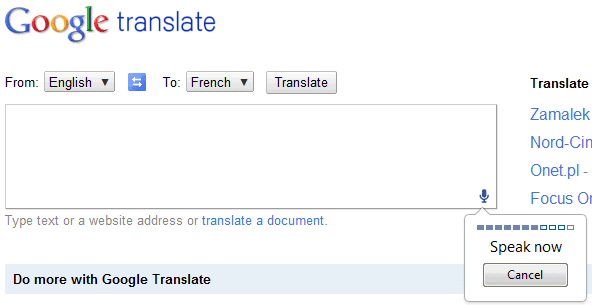 Google Translate is the first Google service that uses this feature. If you use Google Chrome 11 Beta, Google Chrome 12 Dev/Canary or a recent Chromium build and visit Google Translate, you can click the voice input icon. 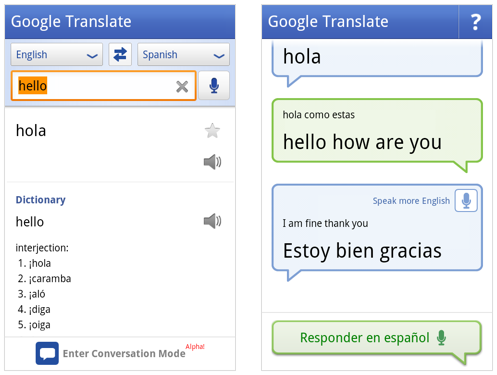 Right now, this feature only works for English, so you need to select “English” from the list of input languages. Unfortunately, the results aren’t great. I tried to translate “beautiful sunshine” into French, but the speech-to-text engine didn’t work properly and Google had to translate “wake up beautiful sunshine girl”. 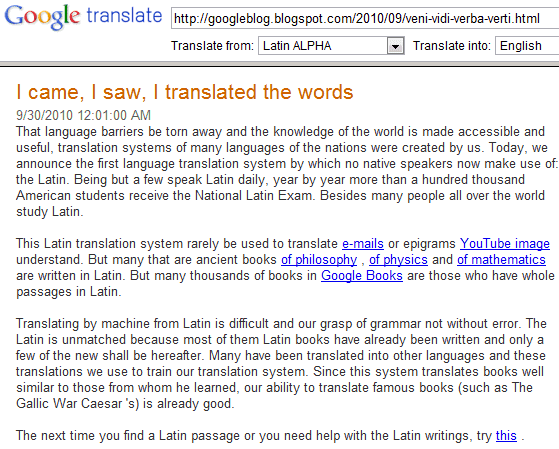 No translation is perfect, and that’s especially true for a machine translation service like Google Translate. From now on, when you translate a text using Google Translate and Google finds some reliable alternate translations, you can pick one of them. 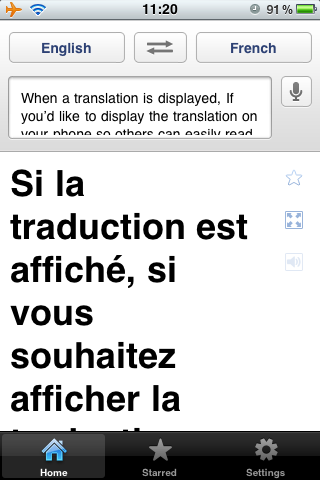 “Just click the translated phrase and you’ll see a pop-up menu of possible alternates for that phrase, as well as the original phrase highlighted in your original text. Not only can these alternative translations give you a better understanding of a confusing translation, but they also allow you to help Google choose the best alternative when we make a mistake,” explains Google. 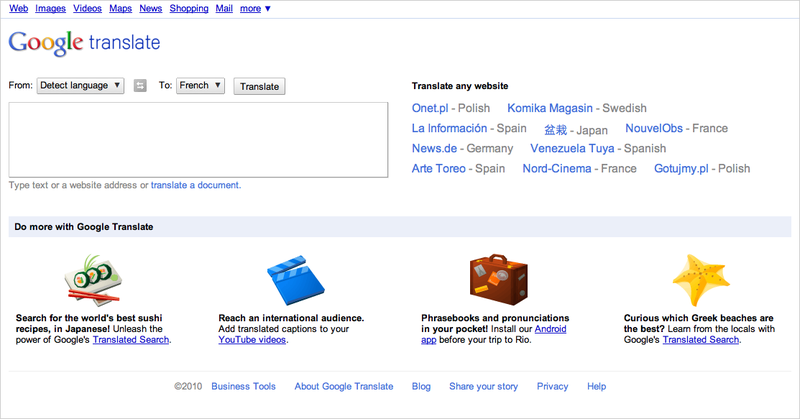 Right now, Google only shows alternate translations when you try to translate a text, so this doesn’t work for web pages. 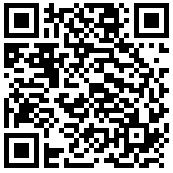 “Google showed off a new application that translates conversations on Android mobiles at a recent conference in Germany. 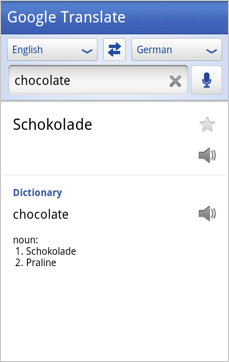 Google employees held a conversation over two Android mobiles with one person speaking German and the other English. The application worked its magic after each persons statement and then referred the translated message back to the other person,” reported Simon Thomas. Unfortunately, the results aren’t always great. Google Translate’s conversation mode will be released in a few months. Google is currently rolling out several changes globally to our look and feel that should make translating text, webpages and documents on Google Translate even easier. These changes will be available globally within a couple of days.